Hello, and welcome. Today I'm sharing a simple tip to easily create a cute necklace using elastic. 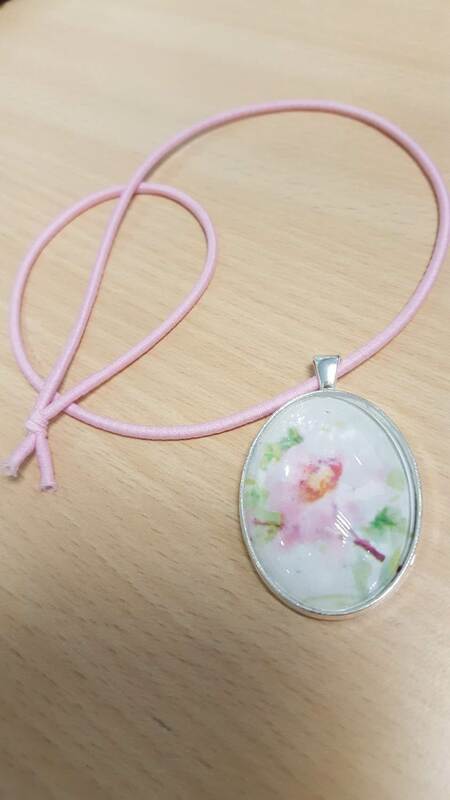 I got the very pretty medallion below from a friend who's into jewelry making. 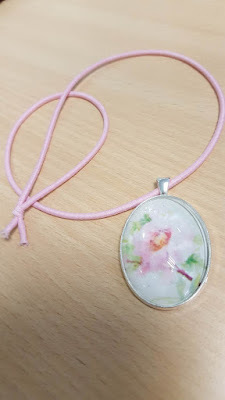 I doesn't show very well in the photos because the rounded glass reflects the light, but it's a cherry blossom and just perfect to cheer me up during the cold winter months. 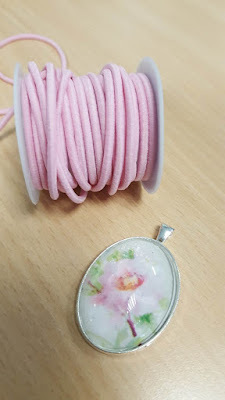 The problem is that I got just the medallion and I obviously wanted to use it as a necklace. 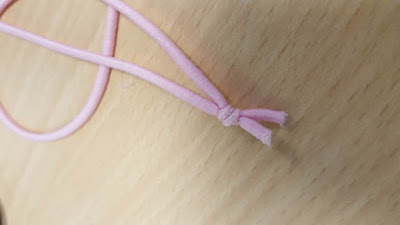 The solution: a simple piece of round elastic in a matching color. 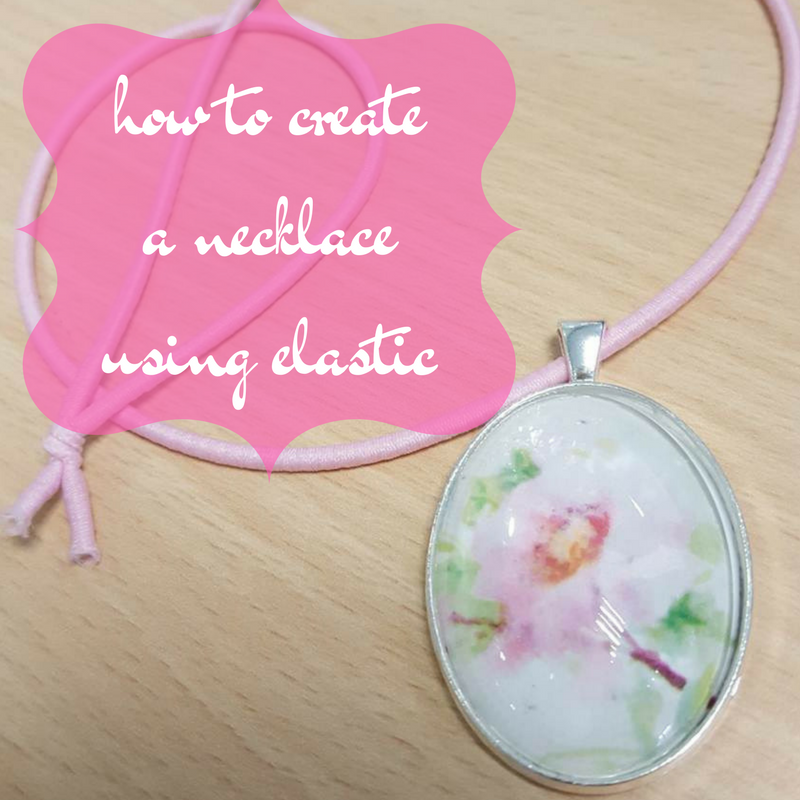 Why is elastic so great to create simple necklaces? Because it's versatile, usually comes in a lot of colors and you can tie it into a knot and save yourself the trouble of adding clasps or other closures. And because it stretches, you can cut it as short as you need (as long as it fits over your head). In this case, I really like how it turned out. 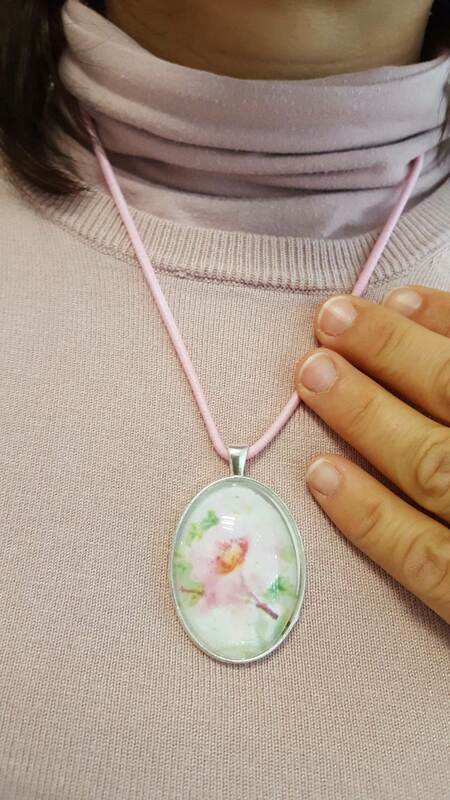 And the best: it took me less than a minute to turn the medallion into a ready to use necklace.